Owner and Executive Chef Samad Naamad gained his title of "One of Boston's Hottest New Chefs" by delighting diners with both the authentic flavors of Morocco and creations inspired by contemporary world cuisines. 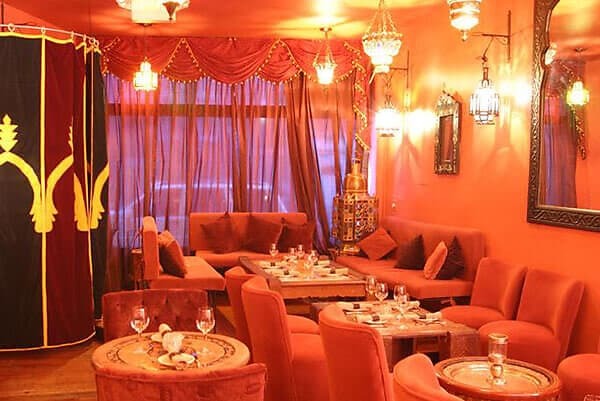 Yet after two years of flawlessly executed cuisine and luxurious design, this unique experience is now pure magic after its transformation into a Moroccan Casbah complete with private tents, luxurious couches, and twinkling lanterns. Make a reservation to save you some time in waiting!